Beraud, who currently works as a dietician at Atascadero State Hospital, announced her candidacy at the Atascadero City Hall steps. A left leaning Democrat, Beraud has voiced concerns over protecting open space, fighting against offshore oil, anda lack of cordiality with the current members of the board of supervisors. Beraud has also discussed the need to regulated cannabis as a growing industry and her concerns over a recent disagreement over a proposed large marijuana grow on York Mountain Road in Templeton. While Arnold voted to allow marijuana cultivation in SLO County, she has voiced concerns over the impacts of large pot grows located next to residences. 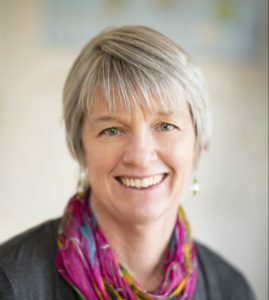 Beraud is a member of the SLO County Progressives, she served as a GO Team leader in 2018. During the past five years, consultants for and owners of marijuana businesses have secured multiple leadership roles on the SLO County Democratic Central Committee and the and the SLO County Progressives. For example, Nick Andre is both a co-chair of the Central Committee and the Progressives, while Quinn Brady is a member of the Central Committee and a co-chair of the Progressives. Both have ownership interest in marijuana businesses in SLO County and have spoken at SLO County Board of Supervisor meetings in support of permissive marijuana growing regulations. District 5 consists of Atascadero, California Valley, Creston, Garden Farms, Pozo, Santa Margarita and parts of Cal Poly, San Luis Obispo and Templeton. Republicans edge Democrats in the district by 1,501 registered voters. The California Primary is scheduled for March 3, 2020. With all due respect, ma’am, we don’t need to vote in the decline of San Luis Obispo County by seating more progressive liberals in our public offices. You claim to be running because the current board doesn’t get along well, but i have never heard you criticize your fellow progressive Adam Hill when he blamed his uncivil rants on mental illness. Why the silence? Also, you claim to be against marijuana grows, but your progressive friends are the ones who championed weed, and they even rigged the process for marijuana distributorships. How can you credibly claim to be against weed, when your closest friends and supporters are the main supporters of proliferating pot grows in the North County? Why the deception? North County taxpayers deserve a supervisor who will support working families, not liberal special interest groups, and you are the wrong candidate at the wrong time. Re-elect Debbie Arnold in 2020. “…and a lack of cordiality with the current members of the board of supervisors.” Where were her concerns during the Bruce Gibson, Adam Hill and Frank Mecham reign when Adam Hill was rude, shut down speakers, criticized the public when they didn’t agree with him, when Bruce Gibson was courting his assistant for months before going public while he was still married to his wife and the assistant was being paid by the taxpayers. Oh yea, they are Democrats and Progressives so its OK! There is a double standard in this Country, this County and most of the cities in this County, If there is anything this County does not need, it is more Progressives. I was in McDonald’s yesterday and heard some people talking about the paper straws and how happy they were about them as they drank their large drinks out of clear plastic cups. The logic of Progressives! Everyone needs to give Financial support to Debbie whether it is $5.00 or $500.00 to preserve the reasonable lifestyle in this County that is under attack. Everyone who cares should take attention to what is happening. Ms. Beraud was only the Mayor for 1 year as the position was an appointment made on a rotational basis among the council members. There has always been a very large political machine and an abundance of money that supported Ms. Beraud in the past. Her past history dictates a negative attitude on growth. As stated in a previous comment she has worked at the Atascadero State Hospital for years and really has no practical experience in the real business world. She will be a formidable challenger against Ms. Arnold and the amount of money that will be spent will be outlandish. But the future of SLO, as most people know it, is at stake as these Progressives show more and more everyday what their real intent is and the corruption that follows them. It’s easy for someone who works for the government to be progressive. Whatever understanding they have of what’s required to earn a living in the private sector, or an understanding of where the money comes from to pay their salary and benefits, is quickly lost; they become institutionalized. Is this someone who has the experience and understanding to lead us? Following the City of SLO model. Things are going great there. SLO County, get your head out of the Smoke. We’ve got enough like her already, don’t need anymore left leaners.